Already known for their distinctive fine audio quality the MARK-V & MARK-V Field can be taken to new heights with the new MD-200A8X high quality desk microphone. The MD-200A8X employs a studio-quality dynamic element, optimised for high-fidelity SSB operation, allowing faithful reproduction of the operator’s voice. Yaesu’s exclusive VSPC (Variable Side Pressure Control) allows adjustment of the frequency response of the microphone, from a totally-flat response to a high-articulation response with moderate peaking above 1500Hz. 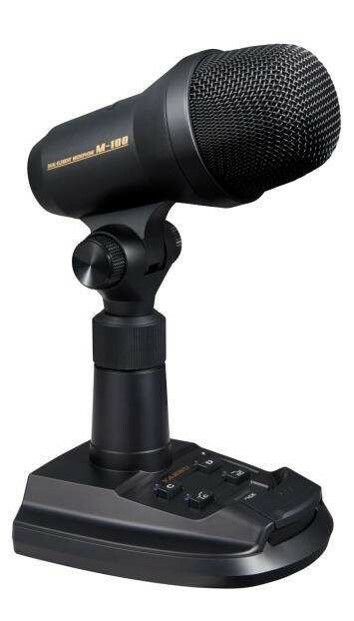 The MD-200A8X also includes provision to incorporate a user-supplied dynamic, magnetic or crystal microphone element. A slide switch on the base allows easy switching between elements. The microphone element is fully protected from unwanted vibrations with a heavy duty yoke and heavy rubber shock absorber. Amateur Radio Shops HAM Radio Dealer Supplier Retailer LAMCO New/Second Hand Twelve Months Warranty. Barnsley, South Yorkshire, UK. Amateur Radio Sales. HAM Radio Sales.We are Premier Dealers For Icom, Kenwood & Yaesu. hamradio-shop is my favourite HAM store! HAM Radio Shop, HAM Radio Shops, Amateur Radio Dealers, Amateur Radio Dealers UK. Amateur radio Dealers, HAM radio dealers UK We are a family business supplying world leading amateur radio equipment.We are small enough to care and large enough to cope!